Protecting the environment is a matter for concern for all. Any report on intrusion of the environment by mankind attracts public glare. A recent article by Sulbaek Anderson et al. on climatic effects of inhalational anesthetics raked up the issue of environmental pollution by anesthetic gases in contemporary media. Although global climate changes are primarily attributed to emissions of carbon dioxide, the reactions of the media on pollution by anesthetic gas emission were possibly not unfounded. Emission of infrared radiation into space is an important mechanism by which the earth loses heat and cools down. Atmospheric pollution by molecules that hinder the escape of the infrared radiation affects the temperature regulatory mechanisms of the earth and thus affects the climate. Anesthetic gases from anesthesia machines leaks, scavenging and from breathing out by recovering patients, find their way to atmosphere. 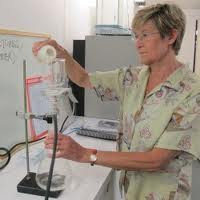 All waste anesthetic gases (WAGs) particularly, halothane, enflurane, and isoflurane contain chlorine and are believed to have significant ozone-depleting potential. The stability of the molecules of halogenated inhalational anesthetics permits their passage to the stratosphere, where solar ultraviolet radiation dissociates these molecules to liberate free chlorine, which acts as a catalyst in the breakdown of ozone and destruction of the ozone layer. Halogenated inhalational anesthetics strongly absorb the reflected infrared spectrum of the outgoing terrestrial radiation. Their present contribution to climate change is negligible in comparison to that attributable to carbon dioxide as their atmospheric concentrations are negligible. However, as they are stable compounds, their cumulative impact will possibly become significant enough to force climate change. Global warming potential (GWP — a metric adopted by the Kyoto Protocol to the United Nations Framework Convention on Climate Change) is a relative measure of the amount of heat a greenhouse gas traps in the atmosphere. Long time measure of GWP is possibly more appropriate for long-lived gases, such as the inhalational anesthetics. 100 year GWP is a time-integrated impact measure of cumulative concentration of the greenhouse gas. Assuming that about 200 million anesthetic procedures are performed annually in the world, Sulbaek Anderson et al. estimated that the global emissions of inhaled anesthetics will be equivalent to 4.4 million tonnes of carbon dioxide, i.e., equivalent to emissions (measured by 100 year GWP) from approximately 1 million passenger cars. Emissions of nitrous oxide have been constant for a few decades, and it is estimated that atmospheric concentration would be around 0.5 parts per billion, several times higher than the effect of emissions of halogenated anesthetics. Although, the current climate effects of anesthetics are small and clinical decisions about the effectiveness of different compounds should take priority, there is a need to monitor their climate impact. Nitrous oxide has been implicated to cause several general and systemic dysfunctions. It can lower the neuropsychological performance and cause generalized symptoms such as fatigue, headaches, dizziness, nervousness, nausea, concentration impairment, and lack of fitness. Peripheral neuropathy and medullary depression with megaloblastic anemia, leucopenia, reduction in number of B-lymphocytes, and thrombocytopenia may also occasionally occur. The use of nitrous oxide has been discontinued in large part of the world but it continues to be used in the Indian subcontinent. There have been several reports on unfavorable effects on fertility and progress of pregnancy in the form of spontaneous abortions and fetal anomalies due to nitrous oxide. This has been the major concern among the female health personnel over the years and it has been studied extensively by various authors. Although, Spence et al. showed that the incidence of spontaneous abortion among those surveyed and congenital abnormalities among their offspring were unrelated to the occupation of the mother, however, because of long hours of exposure to the OT environment and nonavailability of scavenging equipment, the scare still remains. Concern has been raised about the carcinogenicity and mutagenicity of nitrous oxide and halogenated anesthetic agents; however, studies on carcinogenicity have shown negative results. Animal studies, on long-term carcinogenicity, assessed organ toxicity after chronic exposure to inhaled anesthetics and found no significant clinical or pathological damage to the kidneys, liver, gonads, or other organs with maximum tolerated doses of nitrous oxide, isoflurane, or halothane. Sevoflurane and desflurane have not been tested for carcinogenicity but have been tested for teratogenicity and were found to be without reproductive toxicity. In animal studies, only nitrous oxide in high concentrations has been consistently shown to be teratogenic. Understanding the potential risks of WAG in the OT environment has had a historic evolution. In 1967, Vaisman reported that nitrous oxide, diethyl ether, and halothane may be responsible for adverse reproductive and general systemic effects.In the same year, Fink et al. reported similar effects on reproductive system by nitrous oxide and added the possibility of cancer, long term damage to liver, kidneys and genetic mutation.Similar adverse effects were reported by a large study by the American Society of Anesthesiologists on the effects of trace levels of WAG in 1974.However, it was later realized that this study had several limitations and biases and could not be relied upon. A group of epidemiologists and statisticians conducted a study to bring out the facts. Buring et al. reported an increased incidence of spontaneous abortions, congenital anomalies and risk of liver and kidney damage. Rowland et al. reported that scavenging can prevent adverse reproductive outcomes following the use of nitrous oxide by female dentists. Other human epidemiological studies too detected adverse effects with WAG, but admitted that the risks involved were small and well within the range and might be due to confounding variables and bias. These studies had a number of weaknesses and did not recommend setting up of exposure limits to WAG. In fact, these studies directed our focus on the other reasons contributing to OT pollution like the stress of working in high risk milieu of life and near death and to some extent, radiation exposure. Inhaled anesthetic gases leak from anesthesia machine systems, as no system is totally leak-free. The source of the leakage may be from both the high-pressure and low-pressure systems of the anesthesia machine. Moreover, lack of good workplace practices such as leaving gas flow control valves open and vaporizers on after use, spillage of liquid inhaled anesthetics, and poorly fitting face masks or improperly inflated tracheal tube and laryngeal mask airway cuffs add to the escape of WAG into the OT atmosphere. Machine leaks should be identified and corrected before the system is used. OT pollution can be minimized by use of scavenging systems, installation of more effective ventilation systems, and increased attention to equipment maintenance and leak detection. An effective scavenging system removes excess anesthetic gas at the point of origin and reduces the amount of WAG significantly. Apart from the OTs other areas such as recovery rooms also have WAG from the exhaled gases of the recovering patients. It is advisable to place an exhaust in such an area so that WAGs are not reintroduced in the workplace. The OT complex should have 15 air changes per hour when in use and at least 3 air changes per hour at all times. Periodic monitoring of trace levels of WAG and that of personal exposure to health personnel is also recommended. The National Institute for Occupational Safety and Health (NIOSH) USA recommended exposure limit (REL) for WAG at 25 parts per million (ppm) measured as a time-weighted average (TWA) during the period of anesthetic administration for nitrous oxide, when used as the sole inhaled anesthetic agent. There are no NIOSH REL's for the most common anesthetics—isoflurane, desflurane, and sevoflurane. European countries such as Britain, Netherlands, Switzerland, France, and Germany have different recommended standards and have REL for nitrous oxide and halogenated agents in the range of 25–100 and 10–50 ppm, respectively, measured as TWA for 8 h.
There is insufficient evidence of undesired health problems due to WAG and routine monitoring of trace levels of these gases is not required; however, low-flow anesthesia should be practiced by all to reduce pollution and also for economic reasons. Scavenging of gases is strongly recommended along with effective dilution ventilation. Good workplace practices and proper maintenance of equipment to prevent leaks are required. Although evidence on environmental pollution by anesthetic gases is presently viewed with skepticism, but we all should be aware of such a possibility. Emission of WAG should be minimized by good anesthetic practice and better OT management. All anesthesiologists must endeavor to use only Low-flow anesthesia and ensure effective scavenging of WAG. Effective education programs for the service providers and periodic environmental monitoring, to check the effectiveness of the overall system, can reduce WAG and their associated ill effects. Periodic training is essential in hazard awareness, prevention, and control of exposure to WAG.